warm, dryer days of Summer. 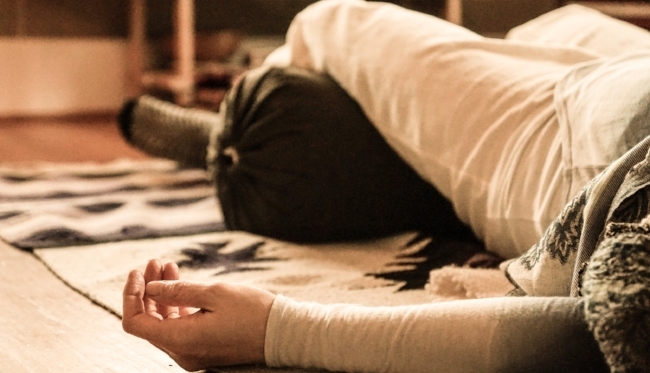 Join us for a intention-setting Summer Solstice Restorative practice, as we spend time in preparation and transition from one season to the next. This is a beautiful practice of developing increased awareness, presence and intentional living, and is a seasonal approach to wellness in Ayurvedic Philosphy. Taking a few days before and a few days after both Equinoxes and Solstices provides the opportunity to move old patterns that have gone stale from the prior season, and to shift reflection to the coming work of that season. We'll practice a deeply restful pranayama, restorative and meditation sequence followed by soundbath ritual and intention setting. All levels welcome.